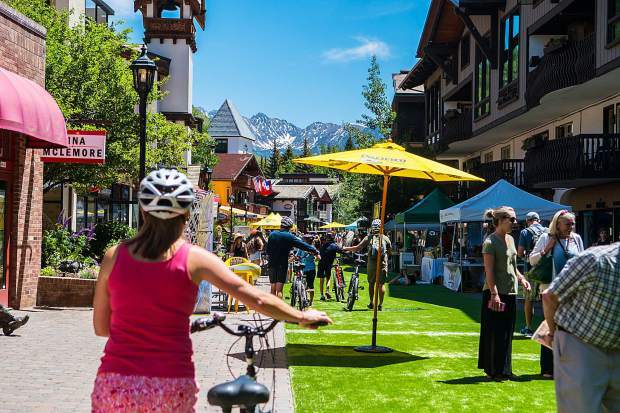 The Taste of Vail has been a rite of passage from winter to spring and a great way to celebrate the end of the season for 29 years. This food and wine festival boasts a more beautiful backdrop than those foodie events hosted in metropolitan areas. 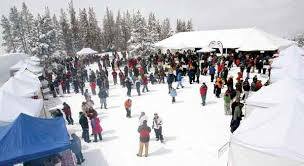 Here, you have an opportunity to ski or snowboard before you sip wine and seek out the best dish at the event. The Taste of Vail kicked off on Wednesday with the Debut of Rose and Thursday featured the 15th American Lamb Cook Off and Apres Ski Tasting, but it doesn’t stop there. Here’s a look at other signature events and seminars throughout the weekend. Today, the main event is the Mountain Top Tasting from 12-2:30 p.m., hosted just west of Eagle’s Nest. This ski- or gondola-in picnic is a culinary feat as wineries and restaurants bring tasty bites and bottles all the way up the gondola for hundreds of people who gather at 10,350 feet above sea level. Wear snow boots and dress warmer than you think, the temperature drops as you go up in elevation. If you ski or snowboard in, downloading the Eagle Bahn Gondola is an option at the end of the event instead of skiing down. On Saturday night, the Reserve Grand Tasting and Auction takes place at the Vail Marriott Mountain Resort from 5-8 p.m. Here is your chance to try it all since every winery and restaurant will be present. Come hungry, there are a lot of unique dishes to try. Peruse the website to learn more about the seminars that are available. 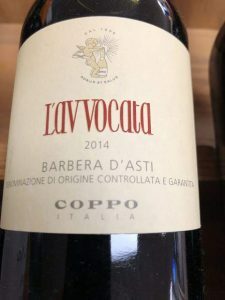 Topics include wines from Greece, Corsica and Santa Barbara as well as a Champagne brunch at Vintage and a Fizz n Fit yoga class with LaCroix’s sparkling flavors to hydrate you. Also, search the website or download the app and learn about the chefs and wineries attending. The list is impressive. 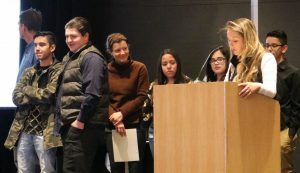 For more information and tickets, visit http://www.tasteofvail.com. After World Cup alpine ski racing success this winter and a busy media tour, Mikaela Shiffrin is heading back to Eagle County and will make a public appearance at the Westin Riverfront Resort and Spa on Sunday from 5-6:30 p.m. The Westin is hosting the Mikaela Shiffrin Celebration and Q&A in the Riverview Ballroom where a limited number of signed photos will be handed out. As part of the celebration, the Westin Riverfront will offer a delicious buffet dinner priced at $25 for adults and $12 for kids, along with a full bar serving $10 cocktails, $7.50 margaritas, wine and beer. 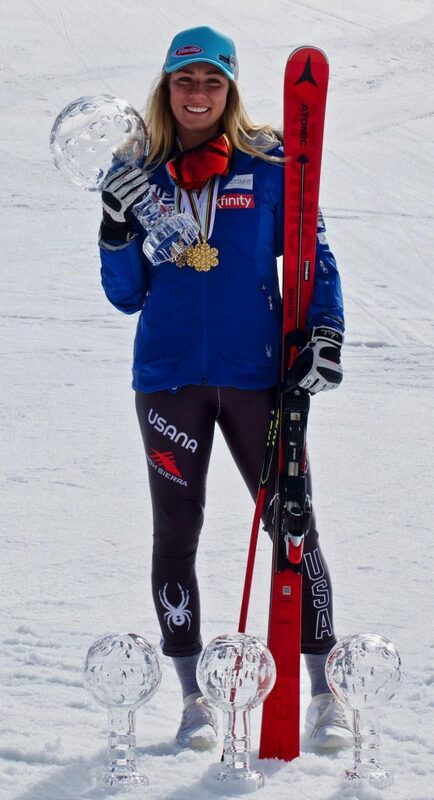 Since 2015, Shiffrin has served as the Westin Riverfront’s Resident Gold Medalist, holding a series of special public events at the award-winning resort. The Westin Riverfront’s Athletic Club, where Mikaela trains when she is at home in the Vail Valley, created “Mikaela’s Corner” in her honor — featuring a functional training platform with weight stations, hurdles, sandbags, plyo boxes and other state-of-the-art equipment. You must RSVP for this event by going to https://westinriverfront_mikaela2019.eventbrite.com. If you can’t make it to the event, follow the Westin Riverfront on Facebook for a live stream of the event: http://www.facebook.com/WestinRiverfrontAvon. Doors will open at 4 p.m. and the Westin is encouraging folks to arrive early. All good things must come to an end, and after an abundant amount of snowfall this season it’s time to say goodbye to the terrain on Arrowhead and Bachelor Gulch. The two portals of Beaver Creek Resort traditionally close down before the main part of the ski area, so enjoy some runs on the western side of the resort before they close on Sunday. There will still be live music throughout the weekend at Mamie’s Mountain Grill at the top of the Bachelor Gulch Express lift today and Saturday from noon until 3 p.m. and Talon’s deck will have live music from noon to 3 p.m. on Saturday. Sunday, you will find the tunes on the deck of the Broken Arrow Cafe in Arrowhead from 2 until 5 p.m. The Beaver Creek Nordic Center will close for the season after this Sunday. They will continue to offer daily snowshoe tours, private tours and equipment rentals through their closing day. To view terrain status, go to http://www.beavercreek.com. Spring is a wonderful time to enjoy the slopes, especially this year with the abundance of snow that fell throughout the season. But spring can also be tricky, so check out these tips on how to navigate the conditions during this time of year. Temperature: During the springtime, we typically experience a “freeze-thaw” cycle where the temperatures dip below freezing overnight and then warms up during the day. This causes the snow to be firmer earlier in the day, so if you are going out in the morning, I suggest you stay on the groomers first. Vail has done a great job of adding more groomed terrain in the Back Bowls, so take advantage of that while you’re waiting for the rest of the slopes to soften up. There’s a perfect window of time between when the snow is firm and when it gets too slushy, or as many locals call it, “mashed potato snow.” Take a fatter pair of skis or boards out on the “corn snow” and plow right through it. Tunes: If you can’t remember the last time you tuned your skis or boards, bring them in tonight and they will be ready to go tomorrow morning. This time of year, the snow consistency is very granular and more moisture-laden, so your skis and boards need a spring wax to help you glide over the surface. 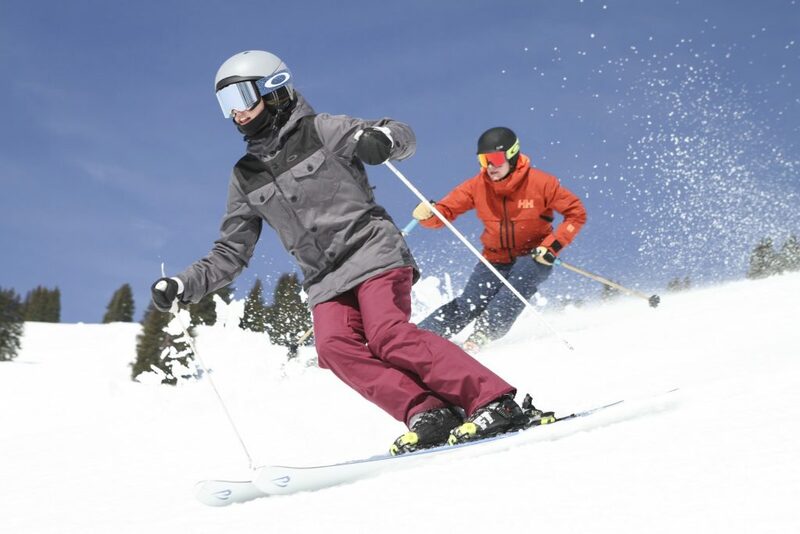 You may notice your skis or boards “sticking” along the catwalks or shadowy areas. Fresh wax from the tuning shop will help. Terrain: Pick your terrain wisely. Those in the know will say, “follow the sun” and ride on eastern-facing slopes first. As the sun moves to the west, you do the same. 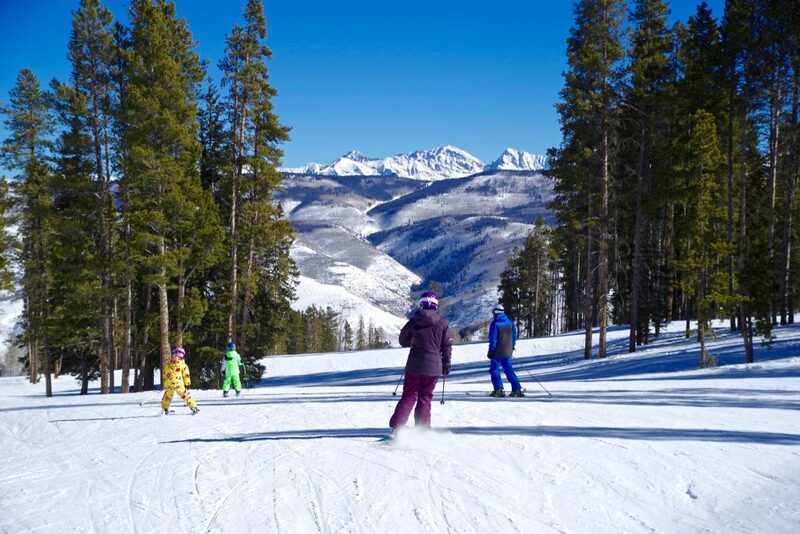 For example, ski trails like Strawberry Park, Larkspur and Rose Bowl at Beaver Creek because they get sun all morning and soften up quicker than Red Tail Run. If you are trying to improve your mogul skills, wait for the bumps to soften up and you’ll have a more forgiving surface to practice on. Tired? Shredding through the spring snow can tire you out. If you are feeling fatigued by the end of the day, you can always download and save your tired legs. Downloading is available on the Centennial Express and Strawberry Park Express at Beaver Creek and on the Eagle Bahn and Gondola One on Vail Mountain. Many times, the snow conditions will be more winter-like the higher you go on the mountain, so take advantage of that terrain above Mid Vail or above Spruce Saddle at Beaver Creek and download when you are finished up for the day. Play it safe so you can enjoy the biking, hiking, golfing and kayaking this spring and summer. The school season is winding down, too, and that means theatrical productions at local schools. 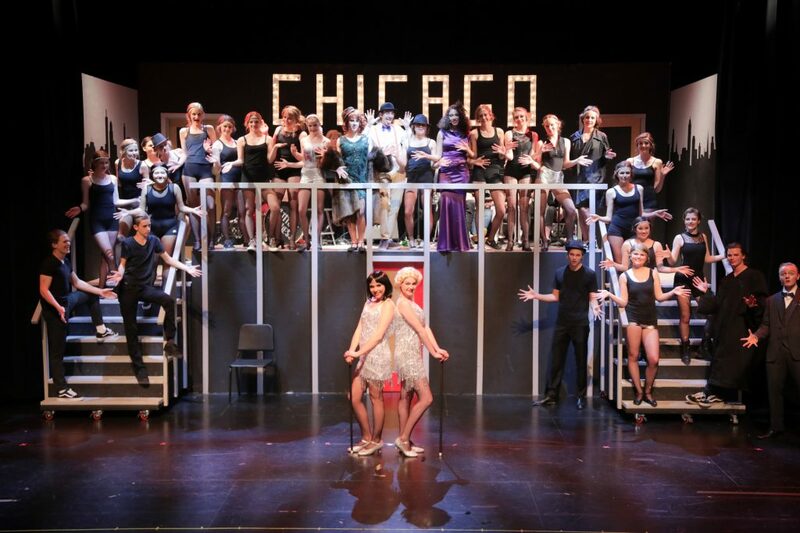 The students at the Vail Mountain School have been spending weeks getting ready to showcase the Broadway hit musical, “Chicago” this weekend. “Chicago” obviously takes place in the Windy City. It was set during the jazz era in the mid 1920s. The lead characters, Roxy Hart and Velma Kelly, play vaudevillian entertainers and murders. The musical follows them to jail and to trial with characters like Billy Flynn, their lawyer, to Mama Morton, the matron of the Cook County Jail and Mary Sunshine, the newspaper reporter who follows the trials. See the story unfold while the cast sings songs like “All that Jazz” and “Cell Block Tango” while watching the choreography that was adapted by VMS students who are enrolled in the Upper School Dance Major. The VMS production is the high school version, which is appropriate for all audiences. Check out the performances tonight and Saturday at 6:30 p.m. and on Sunday at 2 p.m.
Battle Mountain High School hosts its spring musical “Legally Blonde” tonight and tomorrow night at 7 p.m. at the auditorium. “Legally Blonde” is a musical that tells the story of Elle Woods, a sorority girl who enrolls at Harvard Law School to win back her ex-boyfriend. Throughout the story, no one has faith in Woods, but she defies expectations while staying true to herself. Tickets are $10 for students and $15 for adults and can be purchased at the door or online at http://www.bmhslegallyblonde.eventbrite.com.. The Bravo! 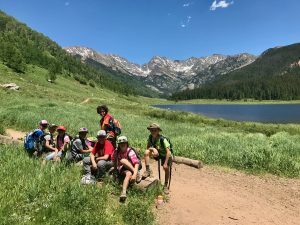 Vail Valley Music Festival doesn’t start their summer programming until June, but kids and families can have a listen to Opera Colorado’s “Hansel and Gretel” concert this weekend. The 50-minute performance will feature actors in colorful costumes as they sing their way through this traditional fairy tale. The show will be followed by a Q&A with the cast and audience. There will also be an instrument petting zoo where kids can touch and play real orchestral instruments and also create musical-themed arts and crafts following each performance. Admission is free for kids and $5 for adults. 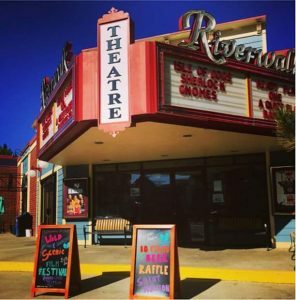 Performances will be held at the Vilar Performing Arts Center in Beaver Creek on Saturday from 4-5 p.m. and at the Eagle Valley High School in Gypsum from 4-5 p.m. Doors open 30 minutes prior to the shows. Reserve your tickets by calling 877-812-5700 or go to http://www.bravovail.org.